The prestigious North American magazine Wine Spectator published this week the classification for Quinta dos Murças Reserva 2012. Gillian Sciaretta gave the wine 92 points, placing this Quinta dos Murças red among excellent wines with superior quality. 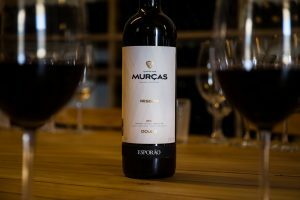 In September of this year Roger Voss, from the North American publication Wine Enthusiast, also classified Quinta dos Murças Reserva 2012 with 94 points. This is the third consecutive vintage to receive the same score in this magazine.